This homemade mosquito repellent cream keeps me from having to apply both a moisturizer AND a bug spray. It kills two birds with one stone, and it works! For the first few years that I made all natural skincare products for our local farmer’s market there was one recurring request from customers. Everyone wanted a natural bug repellent. 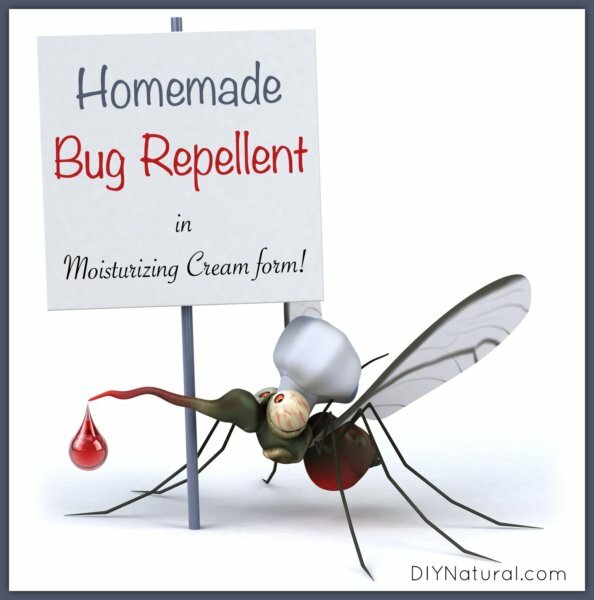 At this point I don’t remember why I decided to make mosquito repellent cream as opposed to spray, but when I finally set about creating one, that’s what I went with, and I’m glad I did! 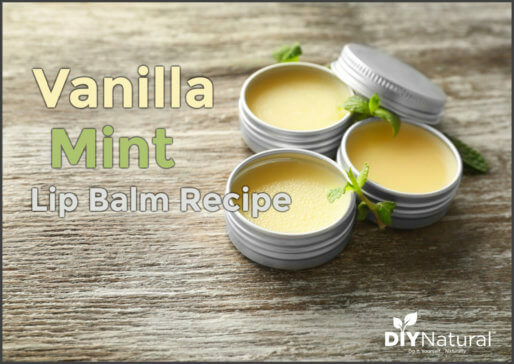 Also, because we already shared a natural insect repellent spray, this cream recipe offers a nice alternative. It took me a lot longer than it should have because I don’t suffer like those around me in bug season. They don’t tend to mess with me too much and while my husband is dancing around beating them off with a stick, I am barely aware of a faint buzzing sound. Regardless of whether you tend to be bitten or not, you have to be aware that there are a number of diseases being carried by the mosquito. Most notably this list includes dengue and west nile virus. There are a number of very effective antiviral herbs that can be used to recover from illnesses such as these, but it is much better to avoid them altogether. When I got my cream developed I sent it with a customer on the worst trip I could imagine. She was going to Alaska during black fly season. At that point in the season, campers are advised to basically wear a walking tent to prevent the biting. She used my cream exclusively, avoiding the chemicals the other campers were using. A few of her friends stopped using their store-bought sprays in favor of her cream when they saw it was working better. When she returned and pronounced it a winner I knew my other customers would love it! This cream works in part due to the essential oil combination, but it also packs a punch with the coconut oil. Coconut oil is a bit of an insect repellent all on its own. Why cream? Well, I really like the added support from the coconut oil, but I’m also a bit of a multi-tasker. If I’ve got to put a moisturizer on in the morning I don’t want to have to carry around another product to spray on. I like that I can just apply the cream a couple times a day and kill two birds with one stone so to speak. So here goes. If you’ve been a regular customer of ours at Mockingbird Meadows, you’ll be happy to know that this is the actual recipe I’ve made all these years. Enjoy! Melt the beeswax and/or stearic acid, Vitamin E, and coconut oil over low heat. I like a double boiler or a large metal bowl on the lowest setting (around 100°F) in the oven. 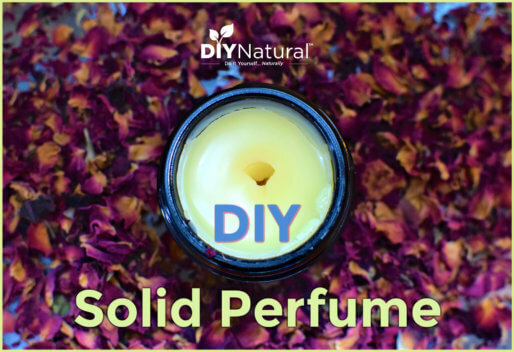 Also, we already shared a natural insect repellent spray, so this cream recipe offers a nice alternative. Have you ever tried using mosquito repellent cream as opposed to spray? What was your experience? Can I use the block type beeswax instead of the pellets? If so, how much should I use? I am definitely going to try this once I have a little extra money. I am being eaten alive by mosquito’s and fleas. Can vitamin E oil be used for this instead of the capsule? & if yes, how much? Yep, I’d probably use a scant 1/8 tsp for the amount of cream in the recipe. How much. Is your product if we purchase from you? We had disabled it temporarily because we didn’t have a new picture. Here is the link to it. We’ll be making a brand new batch for our local customers this week. Another thing that I have learned this season, about insect world in general, is that insects are very sensitive to our attitude towards them. they sense negative vibes and this causes them to become agitated and go into defensive mode, attack, protect mode. Since I have shifted my attitude towards them, and no longer view them as pests, I am not bothered by them. I respect them as part of the whole of life. and that they have purpose for being here also. And I ask to have harmonious relationship with them. Often insects are the first ones to come check us out, to discern if we are threat or food. I am finding that when I present myself to them in non-threatening way, they largely leave me alone. Hi Evelyn ! I totally agree ! Can you please share with us how long of a shelf life this product will have? Will it last one entire season? Can you still use it the following year if any is left? Thank you for sharing your recipe! I am under constant attack from mosquitoes. I cannot even walk out to my car without one getting me in the summer. Right now I am 6 months pregnant and was wondering if any of the other essential oils aside from Pennyroyal should be avoid. Thanks for your advice! Can this be made without baking soda? Hmm…. I’ve never tried it with anything else. It’s a bit of grit for the emulsification process… helps the oils to “grab” and for those who don’t have a sensitivity to it, it is beneficial to the skin. A replacement would have to dissolve in the water without being gummy. 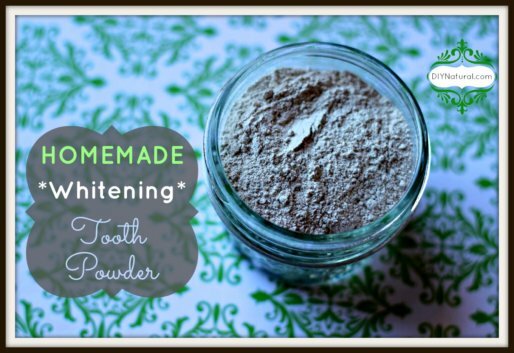 I thought of alumroot, but I would stay away from a thickener. I’ll keep thinking, and perhaps some other reader will have the solution before I think of something! I am interested in follow up comments. How long will this be good to use ? If I make some and store it over the winter, will it still be effective next summer ? Yes, the cream generally keeps over winter. Because it doesn’t have any chemical separators, it will often “collapse” and need to be stirred up. It is usually still good though. Sometimes I add in new essential oil if the jar was open a good bit of the time and the scent escaped. I recently come across an easier bug repellant, sesame skin oil. My husband and I were sitting on a pier at dusk in Alabama and while he was having no problem, I was being attacked by mosquitos and the dreaded “no see ums”. He had used sesame oil after his shower that evening and we wondered if it could possibly be the reason he was ignored by the insects. The following evening we both used it and were both ignored! We have both been using the oil regularly the last two weeks as have some of our guests, all with the same results. We have used Neutrogena and the Target brand with same results. Sesame oil, when you buy the dark variety, also has some sunscreen benefits as well. Sometimes it’s the simplest solutions! Thanks for sharing! Good to know. Thanks Dawn! Which of the essential oil(s) would be the best combination for mosquito’s? Can you put more than 2 types of oils in the mixture? I have found that most people have success against mosquitos with just citronella and eucalyptus. It is good to have the others in reserve though, as occasionally I meet someone who is just so darn delicious to them that they need more of an essential oil punch! Please make sure to note to use extreme caution when using penny royal. It is poisonous to animals if it is ingested and should not be used if you are pregnant or could be because it can cause a miscarriage. Love the idea of a bug repellent cream! I’ll definitely try that one. I’m more like your husband, I guess — always dancing with those bugs and scratching afterwards. :-/ To me, one of the biggest advantages of a cream over a spray is that you can pack it anywhere and not have to worry about it leaking out. Maybe I haven’t found the best containers yet, but liquids in spray bottles can be really hard to pack. Thanks for eliminating that! Hi, I’m wondering if this could be tweeked to make bug repellent/body lotion bars… You know, how you do the beeswax and coconut oil body bar? What do you suggest?